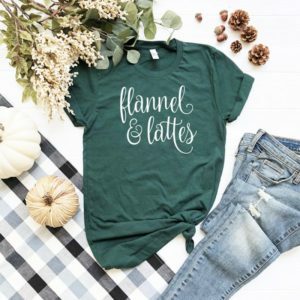 Autumn has arrived and we couldn’t be more excited to bring out our favorite fall faves – sweaters, jackets, boots and anything and everything of pumpkin spice flavor. We’ve been tracking all the latest trends that will be a hit this season that you won’t want to miss out on. We’re predicting lots of fun fall prints, lots of leather, plaid essentials and great shades of brown to add into your wardrobe. See below for our top styling inspiration for the season that will have you in all the fall feels! Animal Print is a hot trend that will be a great way to stand out this fall. Animal prints may not change too drastically between seasons but designers have added a lot more life to typical animal prints with different colorings and details. We love to mix and match different animal prints with other staple pieces for this season. Pair your leopard pants with a colorful blazer or top to give your outfit a pop of color and pair with your favorite pair of booties and you are ready to go. Zara’s new collection has tons of animal print suits that are perfect for the fall. You might see leather dresses also make their way into your closet this fall! A neutral leather dress is the perfect versatile outfit that you can wear almost anywhere. You can wear it to work or out to dinner with a pair of heels or pair it with a casual pair of sneakers or cute booties to slip on during the day. If you ask us, leather can be the most sophisticated looking of all the fabrics. Whether the dress is more fitted or a bit on the loose side, they look amazing in any shape. Don’t be afraid to mixing textures with one another – pairing your leather dress with a colored heel or a suede boot can also give your outfit an extra edge without over accessorizing. The plaid and gingham trend is here to stay for another season and we couldn’t be more excited. A pair of neutral plaid or gingham pants is a must for the fall – don’t be afraid to wear them both together or mix and match different colors! Neutral colors are of course great to have handy in your closet, but we love to play with fun plaid pops of color. Try a mustard yellow or burnt orange to switch things up. Plaid is an ultimate classic that really never goes out of style, so use this season to try different things with your styling. Pair your plaid pants with a colored knit crew, your favorite booties and hit the town! We also love a colorful plaid blazer, oversized dress or jacket to pair with your everyday looks this season. Haven’t you heard? Brown is the new black this season! We are definitely seeing a lot more brown this fall, whether it is from high-fashion celebrities on the red carpet to your everyday fashionistas strolling the streets on the way to work. Brown is the perfect color to help you transition from the hot summer months to the cool upcoming fall season because it comes in a great variety of shades. For the fall, we love mixing darker and lighter shades of brown with one another to achieve a put-together look full of neutrals. Pair your brown outfit with warm colors or white and ivory to keep it casual. It can make a bold statement yet gives very subtle vibes. It’s the best of both worlds!